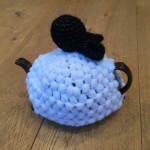 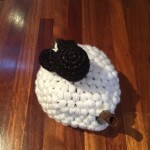 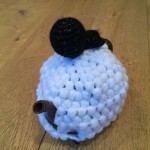 After seeing an adorable sheep tea cosy in Cath Kidston, my Mum asked if I would make her one for Mother’s Day. 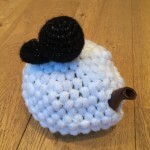 So I found some chunky acrylic yarn and a 6mm hook and away I went. 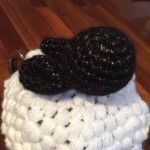 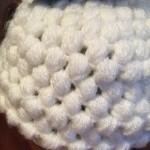 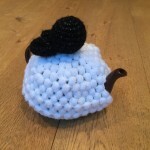 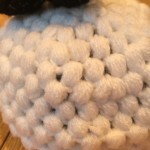 I worked the tea cosy in rounds, using popcorn stitch and increased the rounds every now and then – this really was a ‘figure it out as you go along’ project. 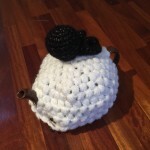 I left the front and back open for the spout and handle and attached a couple buttons to close them. 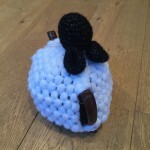 Finally I added a head (worked rounds of sc and stuffed with polyester filling) and a pair of ears!